, you’re already familiar with Bluetooth, the wireless standard that lets you connect such cable-free devices to a smartphone, laptop, and the like. There have been several updates to the spec since it released in 1999, each one a little more efficient than the last. Powell says the forthcoming standard will also improve beacons and other “connectionless services.” That means your devices could more reliably receive location data (or ads) in malls, airports, or other large indoor spaces where GPS isn’t totally effective. A more formal announcement will come on June 16 at the group’s Discover Blue event in London. Bluetooth SIG — the industry organisation that overlooks development of the wireless standard, and counts major tech companies like Apple and Microsoft as members — had previously hinted at the changes last year. Internet of Things, and the generally increasing amount of connected devices people use. It also means that you’ll able to keep your phone connected to, say, a Bluetooth speaker from farther away. 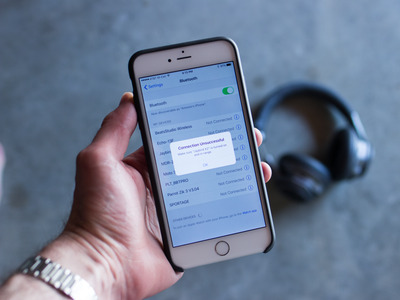 What’s unclear is whether or not current Bluetooth-enabled devices will be able to upgrade to Bluetooth 5 the way they could with more recent versions. Bluetooth SIG was not immediately available to comment on the matter. In any case, staying connected with your next smartphone should be less of a headache. We’ll know more next week.